SANTA FE – Michael Sloane, a 24-year employee of the New Mexico Department of Game and Fish, was named the department’s new director by the State Game Commission Tuesday. Sloane began his career with the department in 1994 as a wildlife culturist at Lisboa Springs Hatchery in Pecos, New Mexico. He went on to become a wildlife specialist supervisor, assistant chief of fisheries and chief of fisheries. He has a masters of science in fisheries and allied aquacultures from Auburn University. 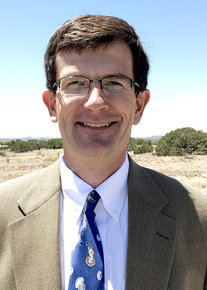 As director, Sloane will be responsible for leading the state wildlife agency whose mission is to conserve, regulate, propagate and protect the wildlife and fish within the state of New Mexico. He will manage more than 300 dedicated wildlife employees and an annual budget in excess of $39 million. Sloane was selected among five candidates considered after a nationwide search that began April 1 and ended June 1. The other candidates were Christopher Chadwick, assistant director for the New Mexico Department of Game and Fish; Michael Perry, assistant commissioner of field operations for the New Mexico State Land Office; Daryl Ratajczak, Santa Fe National Forest Planning Team wildlife biologist for the U.S. Forest Service; and Matthias Sayer, deputy cabinet secretary for the Energy, Minerals and Natural Resources Department.